Established in 1993, our passion is inspired specialty foods and thoughtfully designed gifts that satisfy sophisticated tastes.For this purpose we search the world to find the most original and innovative ideas that are accessible to our market.We actively market our products by explaining their quality, uniqueness, and charm. We seek to inspire customers with attractively presented product selling through various channels (Wholesale, Retail, Mail Order). We believe integrity and a high-quality level of customer service to be key to a successful business. 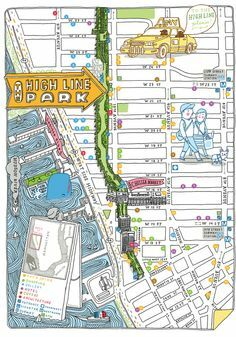 Located along Ninth Avenue at 15th street in Manhattan’s largest food concourse; Chelsea Market Baskets, is surrounded by The High Line and all the west village attractions. The store is filled with over 2000 items, that have been curated over the past 15 years to inspire the palates of our customers. We have over 150 different types of chocolate from around the world, cookies from traditional biscuits to gluten, dairy and sugar free cookies, tea from companies that have been selling for a hundred years to new companies that have established modern blending techniques, hand selected craft beers, and finally a great selection of jared goods from jam to white vinegars. The store is always filled with tasty samples to try, and the taste n save table is stocked with items for a great deal. 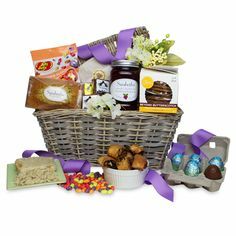 Our imported baskets grace the store and are calling to be made into a custom gift basket with the product from the shelves. Perfect for everyone, for any occasion. 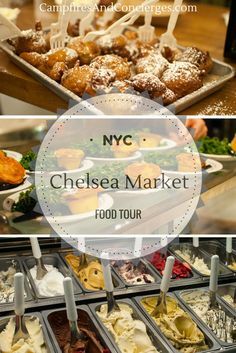 At Chelsea Market Baskets, we offer you an original collection of expertly selected, perfectly balanced food and home-ware gifts. Our selections make deliciously thoughtful gifts, that measure up to the highest standards of good taste. We use product that we are proud to sell and that grace our store shelfs. 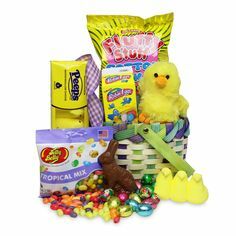 We look locally and worldwide for perfect gift basket items. Buy online, call, or come by the store, we will help you figure out just the right gift to send the intended message. 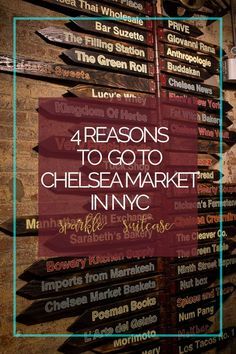 CMBimports is a division within Chelsea Market Baskets that develops brands and products within Specialty Foods and Gifts, which sells wholesale. We represent smaller, higher end companies and help introduce them in the USA…. We are always evolving so if you are a retailer and have a business give us a call or check our website for our newest finds and our monthly specials. 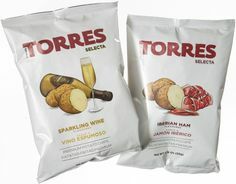 We offer the many imported and domestic gourmet specialty food lines. 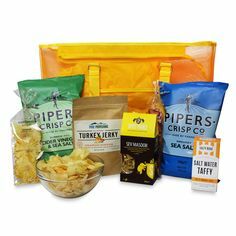 These products all represent high-end quality foods manufactured to exacting standards which stand on their own or fit nicely into gift baskets. Our Specialty items range from Spices from South Africa to McClure’s pickles from Brooklyn. Passionate about fine food, Bay Tree have been producing and supplying artisan products to farm shops, delis, and independent retailers in England for almost 20 years. They lovingly produce a line of hand-crafted chutneys, preserves and sauces. We have been big fans and have been importing their products to the United States since the early days of both our companies. Started by James Ecclestone, The Grown Up Chocolate Company takes classic chocolate bars from your childhood but made with high quality ingredients like luxury milk chocolate and gianduja. Handmade in a small London facility, these bars aim to bring child-like glee to grown-ups everywhere. Started fifteen years ago by Alison Lea-Wilson and her husband David, Halen Mon has expanded into a fully-fledged sea salt company which The Independent called “the best salt on earth.” Made in the Anglesey Sea, these sea salt flakes are large with a sweet finish and are prized among chefs, chocolatiers, bakers, mixologists, and more. Island Bakery Organics is a small family-run business from Tobermory on the Hebridean Isle of Mull. There they make their range of delicious organic biscuits by hand, using the highest quality ingredients resulting in some of the best cookies we’ve honestly ever tasted. Mull lies just off the west coast of Scotland. There are just 3,500 inhabitants on the island, which roughly covers twice the area as New York City. It has no MacDonalds, no Starbucks, no Pizza Hut, and no traffic lights. The Kalk Bay (previously Cape Herb) based in Capetown, South Africa, blends spices from around the globe into unique and delicious combinations. They are known for the quality and freshness of their products and their innovative, revolutionary transparent adjustable grinders that top the recycled glass bottles. They have pioneered the adjustable grinder top which can be adjusted to grind from fine to course according to individual taste. Luscombe, a Devon-based company, believe what makes their approach to making drinks so spectacular is it being “all about the taste” and that this doctrine shows in everything they do. They source all of their ingredients from growers they trust to ensure they get the best possible product that grown to the highest standards, and when it comes to making the drinks they never compromise – much of the equipment they use has been made specifically for them. What’s more innocent than a marshmallow? Mallow Tree Marshmallows hanker back to a simpler time when candy came in jars and we chose it because of the color. Mallow Tree’s jarred marshmallows come in durable and feather-weight, plastic candy jars to bring on those nostalgic memories. 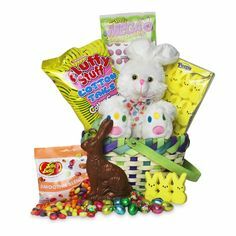 The marshmallows within are light, fluffy, and sweet with authentic flavors and undeniable appeal. Prestat’s history began in 1902 when Antoine Dufour opened the doors on his Parisian Chocolate store in London. Since that time their chocolates have been enjoyed all over the world. Prestat has held a Royal Warrant from Her Majesty the Queen for over 35 years. 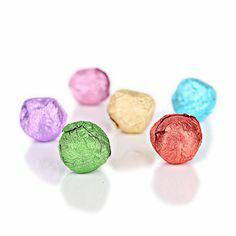 Prestat Truffles were also a favorite for author Roald Dahl, who wrote “Charlie and the Chocolate Factory”. These luxury chocolates imported from England all come playfully packaged adding a sense of fun to each item. In the far north of Scotland, just beyond the Highlands lie the lowlands, this fertile land is where the finest Scottish oats and barley are grown by the farmers and crofters of Caithness. These oats were originally milled in the mills powered from the burns and rivers that meander through these fertile lands. It was the oats and flour from these mills that Donald Reid’s grandmother used to bake her delicious biscuits and cakes over 100 years ago. Her recipes have been passed down to her grandson and are used in the making of Reid’s products today. Donald Reid began his Bakery in 1966. The Shortbread House is a small, family run bakery based in Scotland’s historic capital city of Edinburgh. 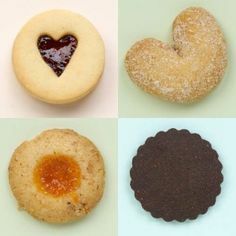 The Shortbread House was started by Anna Wilson using her mom’s recipes and has since become a premier brand of shortbread throughout the British Isles. Using no shortcuts or preservatives and still made with the same recipes by hand, this shortbread is baked slowly until golden brown and then cut into fingers while still warm from the oven. Its buttery and nutty flavor, and crunchy yet delicate texture is seldom found except in only the finest homemade shortbread. They are also known for their sweet Scottish rolled oat biscuits called Oaties. Summerdown has actually reintroduced the traditional Black Mitcham peppermint, to the English countryside. A taste that had ceased to be commercially harvested in England in the past few decades. The company now grows their own peppermint which is freshly harvested on company farms. The mint is then distilled into a pure peppermint oil giving it a more intense, cooling flavor than any other mint available. Peppermint Creams, Mint Crisps, Mint Bars, and Tea are all produced from mint harvested on their farm. Meaning “Good Things of Pont Aven” this little French biscuit company was opened in 1920 and has gradually become world-renowned for their delicate buttery cookies, and their savory crepes dentelles–crunchy cheese filled snacks. Hailing from the same small town as Paul Gauguin, these delicious snacks will certainly leave an impression. One hundred years ago no one would have thought that these refreshing mint balls would be so popular that they would reach cult status. Ellen Santus made her first batch of Uncle Joe’s Mint Balls in the kitchen of her small home in a simple town in the north of England called Wigan. She named them after a kindly uncle whose existence remains a mystery to this day. Her all-natural recipe, which only contains pure cane sugar, oil of peppermint and cream of tartar, has remained a secret since its patent in 1933. Not long ago, Brooklyn was a strange land where people spoke in tongues, cabs feared to tread, and you couldn’t get a decent piece of cheese. And BAM, the grandly-titled Brooklyn Academy of Music, seemed to stand as a silent sentinel, a remnant of a glorious past few seemed to remember. So, for their 150th anniversary, Brooklyn Brewery wanted to make them something really special. BAMBoozle features a large addition of wildflower honey from the New York family apiary Tremblay Farms, blended with golden malts, it is fermented to a dry complexity by their Belgian yeast strain, and then re-fermented in the bottle like Champagne. When the cork pops, the beer shows a shimmering effervescence, a beautifully floral, honeyed nose, and a fresh light zing on the palate that belies its underlying strength. Creating a very happy anniversary gift for BAM, its colorful crown restored, the once and future king of the arts. Cacao Prieto produces bean-to-bar chocolate made fresh daily from the finest organic, single origin Dominican Cacao and distills a line of small batch, cacao-based liqueurs and rums. But, look closer and it becomes clear that Cacao Prieto is a crucial meeting place of ideas, of traditions, of dreams and technology. Cacao Prieto was founded by Daniel Prieto Preston, an inventor and aerospace engineer, whose family has been farming organic cacao and sugar cane in the Dominican Republic for more than 100 years. Everlasting Tea is a company based in Brooklyn, and run by Sammy Levine, who only sources his tea leaves from family-run farms in Taiwan that he has personally visited. Giving hima chance to form a relationship with the farmer and discover the exact origin of the tea. Sammy believes that in this day and age where stress is high, and people live on the go, sitting down to share good tea and conversation provides a refreshing counter-cultural experience. Fat Witch believe life is too serious to be taken seriously, they try to add joy and whimsy into their, and their customers’ lives. Using only natural ingredients they make deliciously chocolate-y brownies in small batches, known in the trade as “scratch baking”. They bake for people with good taste (and good taste buds) who believe quality always trumps quantity. 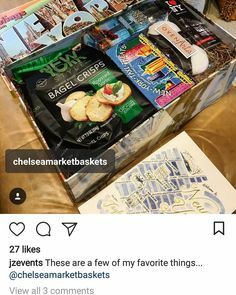 We’re proud to be their neighbour in the Chelsea Market and include their scrumptious brownies in our gift baskets. Chances are if you’ve seen photos or videos of the Mast Brothers, a pair of bearded artisanal chocolatiers based in Williamsburg, Brooklyn, you think they’re hipster Luddite fools, self-serious caricatures of the neo-Arts and Crafts movement. Happily, that’s not the case. Beneath their beards are smiles and considerable charm.They share a fiercely independent spirit, leaping into the unknown and trusting that they’ll find the answer through endurance and dedication to their craft. Made locally in NYC at the Redhead restaurant, Bacon Peanut Brittle is a delicious concoction of peanuts, maple syrup, smokey bacon, and spices that are roasted together until the bacon bonds to the peanuts. The flavors blend together to make the ultimate snack. Additionally, a touch of cayenne gives the finish a little heat, just enough to make you want to try more. We recommend you wash it down with your favorite beer! Made the old fashion way from a recipe brought over from Eastern Europe, this rugelach is made from cream cheese and butter not vegetable shortening like many others, giving it a genuine grandma homemade taste and seal of approval! Ruthy’s rugelachs are crafted daily by hand using only the best ingredients in their bakery at Chelsea Market. These Kosher sweet treats have devoted fans throughout all denominations, nationwide. Award-winning jam maker, acclaimed pastry chef and restaurateur, Sarabeth remains the driving force behind the success and outstanding reputation of the Sarabeth brand. Her personal search for perfection extends to everything she creates. In 1981, Sarabeth began making Orange-Apricot Marmalade from her home kitchen from a 200 year old family recipe and selling it to local food shops. From that humble beginning, Sarabeth has expanded to create delicious baked goods, including our personal favorite: the lemon-poppyseed loaf. Crafted from the finest ingredients in the world, Tumbador chocolates feature exotic fruits, spices, fresh herbs and regional flavors. Community based because they care. Their staff is as special and diverse as their products. Many members of the Tumbador Chocolate family are given a second chance through community based programs such as Strive, Goodwill and The Fortune Society. Each and every Tumbador Chocolate employee understands that he or she is an integral part of our growth and our success. Vintage 5 Year Gouda is produced in the “Het Groene Hart” area of Northern Holland using a traditional Dutch recipe. Milk for production is sourced from Dutch Holstein cows based at a number of small scale local dairies. The cheese has a balanced taste of butterscotch with a hint of salt, and the texture is a that of a smooth deep caramel color with white flecks of crystallized amino acids that give the cheese it’s unexpectedly wonderful crunch. While the overcast northern half of the country has long embraced butter as its cooking fat of choice, the bubble that is Provence is a different story. With its Mediterranean sunlight and rocky terrain, the south of France is blessed with ideal terroir for making extra virgin olive oil and vinegars. Few gourmet oil and vinegar purveyors are as well-regarded in France as La Maison A L’Olivier, which interestingly enough, started in Paris almost two centuries ago. Founded by a pharmacist named M. Popelin, A L’Olivier opened its first boutique in the Marais in 1822 to sell olive oil and cod liver oil during the Bourbon Restoration. Their lemon and grapefruit vinegar is thick, fresh, and pulp-filled, the essential enhancement to deglaze, season, or accompany many sweet and savoury dishes. This is a new take on fruit curd from a small English artisan food purveyor. The passion fruit gives this curd a tangy sweetness that is very distinct from lemon curd. This luxurious all butter curd can be used in cake fills, cupcakes, scones or even on toast. After sampling this product you will understand why it has won 4 Great Taste Awards in England. A lifetime of flavor and inspiration captured in every bottle. All timeless recipes are rooted in tradition, as well as being the successful culmination of years of trial and error. Bone Doctors’ BBQ Sauce is no different, drawing on inspiration and insight from the lives of creators, Dr. David Heilbronner and Dr. Bruce Wilhelmsen. As colleagues in the field of medicine as well as kitchen cuisine, the actual origination of Bone Doctors’ BBQ Sauce began 27 years ago, when the physicians first met. After realizing they each possessed a strong sense of culinary curiosity, the pair of orthopedic surgeons (Bone Doctors) embarked on a journey to create the “Original” barbeque sauce, using only natural ingredients without preservatives, corn syrup, high fructose corn syrup, artificial flavoring, or coloring. This eventually led to the discovery of the savory blend that serves as the basis for every bottle of Bone Doctors’ BBQ Sauce. Started in 1864 as a liquor store, the Fee Brothers is being run by it’s 4th generation of the family, they’ve gone through many ups and downs to get to the Nationally renowned company they are now, including having thousands of gallons of wine being dumped in the Genesee River in 1953 when they decided to concentrate on their bitters rather than alcohol. Often referred to as “the spice rack behind the bar” the effect of bitters in a drink is to balance, round out and add complexity to the flavor. Our personal favorite is adding the grapefruit bitters to an old fashioned Gin-Campari. Fève, which is French for ‘bean’ was created by Shawn and Kathryn Williams out of the desire to create innovative and sustainable chocolate confections that offer an artistic and transformative culinary experience. Feve is an artisan chocolate and confection company that sets itself apart not only through the use of high-quality ingredients, unique flavor combinations, and stunning visual appearances, but also in it’s social mission to send 5% of profits back to the cacao farmers who provide the cacao beans. With Shawn’s passion for chocolate and years of experience working as an Admiral’s chef in the Navy, pastry chef at La Folie, assistant to Ewald Notter, and Chocolatier for Au Coeur de Chocolat, Feve started humbly, with big dreams and few investment dollars, but it has gone on to create some truly spectacular chocolates, our favourite being their Salted Caramels: a smooth buttery caramel with hints of vanilla and savory Maldon sea salt. Halen Môn began with a saucepan of seawater on the Aga in David and Alison Lea-Wilson’s family kitchen. As the water boiled away and the salt crystals started to form, they knew they’d struck culinary gold. Fifteen years ago they started by supplying Halen Môn Sea Salt to Swain’s, their local butchers in Menai Bridge on the Isle of Anglesey. From the very beginning they aimed to be a quality-oriented business and it’s a commitment that has paid off. Today their team of 11 workers (and 2 dogs) harvest the crunchy white flakes of Halen Môn, marrying a centuries-old craft with high technology. Using pure charcoal-filtered seawater, drawn from the Menai Strait around Anglesey. Before the water even reaches them it has already passed through two filters: a mussel bed and a sandbank. ‘Made in Vermont…Naturally’ is Jan’s Farmhouse Crisps catchphrase These crisp crackers are made so delicious by using a hint of rosemary alongside pistachios, pumpkin seeds, dried cranberry, and a touch of brown sugar sweetness. The texture, although rather delicate, it’s perfectly paired with a soft, ripe cheese – such as a young goat’s milk cheese or a triple crème. Made by a family owned business in Stowe, Vermount they use organic and locally grown ingredients. Kusmi is 140 year old tea company that started in Russia and moved to Paris in year 1917. They have a broad assortment of fine teas that reflect their diverse background. We’re bowled over by their newest addition the “BB Detox” tea. By: detoxifying–using a combination of mate and green tea, recognized for its effectiveness in eliminating excess fluid from the body, also improves your skin’s appearance by boosting toxin removal; protecting–with green tea and a potent hand-picked team of two plants: dandelion and rooibos, which inhibit lipid peroxidation, slowing the aging of your skin; and moisturizing–the water that tea contains allows you to keep your skin moisturized from the inside out. This delicious blend of maté, green tea and rooibos, flavoured with a subtle hint of grapefruit, may be enjoyed hot or iced at any time of day. In 2007, Johan Bülow launched Lakrids, intent on making the world fall in love with licorice. Though it’s a much-loved Danish ingredient, licorice has always had a polarizing reputation abroad and Bülow was well aware. 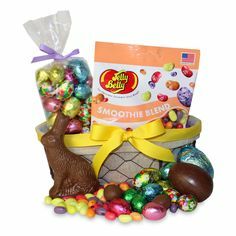 Wisely, he steered his efforts away from traditional candy applications and focused instead on showcasing the ingredients’ versatility through a wide range of unusual licorice products. Lakrids’ collection of small-batch, gourmet licorice treats features everything from beers to syrups, some of which are the first of their kind. Even Lakrids’ more traditional products like classic black licorice are given unexpected twists—ingredients like habanero chili or passion fruit mix with the root to create delectable new flavors. Among our favorite selections were the traditional sweet licorice, with it’s soft chewy texture it’s the perfect balance of sweetness and the bold bitter flavor that licorice is known for. Leonidas started in 1913 and today Leonidas is a world-renowned chocolate maker with over 100 different kinds of Belgian chocolates. Leonidas guarantees the freshness and quality of its chocolates. They are always made according to traditional methods, using only the finest ingredients. 100% pure cocoa butter for the coating. Natural ingredients like fresh butter, fresh cream. 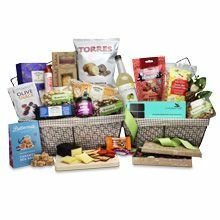 And delicacies such as hazelnuts from Turkey, Morello cherries from the Périgord, almonds from Italy and walnuts from Grenoble. Our personal favorite is the noir de noir, the perfect dark chocolate ganache, it’s filled with an intense dark chocolate and offers a spicy variation on what is traditionally known. It will certainly please those who love bitter tastes. Created in 1982, L’EPICURIEN was in the beginning a delicatessen in Paris, specializing in the production of homemade jams. Bernard LE GULVOUT, Master Jam Maker, began recreating the flavors of bygone days and producing unexpected combinations of tastes to ensure that eating is always a pleasure. 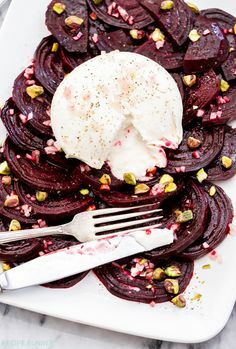 He developed a traditional technique for small-scale production using an open jelly pan, the only way of bringing out the full subtlety of the flavors while retaining the richness of the natural colors. Our personal favorite is the Pesto Rosso, rich and fruity, this red pesto is a thick tomato-y and artichoke-y flavor-filled sauce, perfect with pasta and chicken, that’s reminiscent of Grandma’s homecooking. From seed to chip, everything that goes into Tyrrells are made and processed, right on their potato farm. The farmer, Will Chase, grew up in Tyrrells Court, England (the town for which the chips are named) and has been farming potatoes there for the last 20 years. Will converted one of his potato stores into a small factory, after traveling the world to learn about the process and source machinery. Tyrrells chooses to grow older, heirloom variety of potatoes for their renowned flavor, and each bag is stamped with the varieties of potato used, i.e. “Sassy.” It is not uncommon for the potatoes to be dug in the morning and turned into chips by lunchtime. The sweet earthiness of the potatoes can be found in each bite. Our favorite, the Sweet Chilli & Red Pepper Chips are perfect with a cooling sour cream dip and an ice-cold beer. Real red chillies enliven these delicious chips, and sweet red pepper imports an earthy, vegetable flavor.